this post was supposed to be up about a week ago but i was having technical difficulties getting my pictures from my camera onto my computer. i was at home in d.c. tearing my room apart/ cleaning it looking for cool stuff to associate with band aids. i found this shadow box that had a football letter in it from high school. i thought the frame looked really cool and i like the way it presents whatever is inside of it. 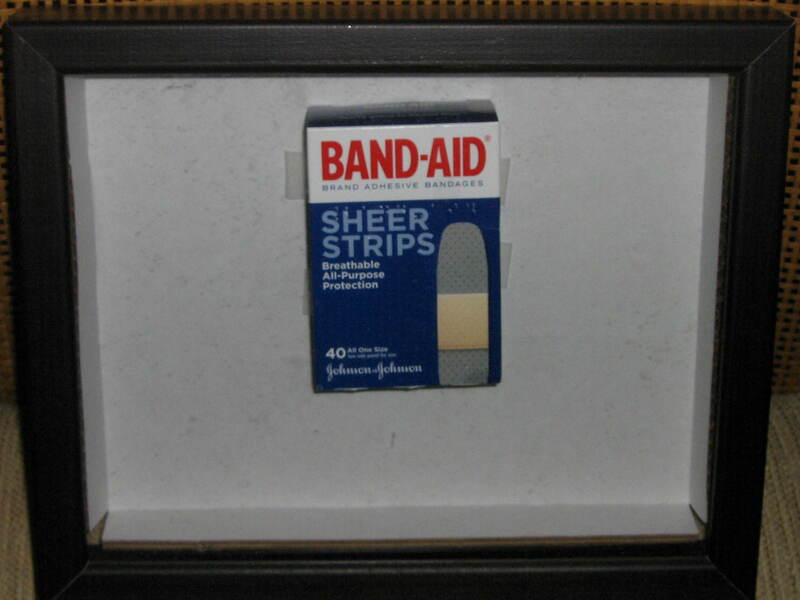 i removed the letter and decided to put the band aid box inside the shadow box. I think it portrays a great image of the brand name and since it is in a frame it shows importance. When thinking of things that you would frame, it typically is something of special significance. The framing of the brand to me shows that the brand has progressed successfully and deserves to be hung up on the wall of successful brands. the brand should be put into the hall of fame! and there is the hall of fame picture!